I got this pumpkin for free the day before Thanksgiving. I was going to use it as a table centerpiece for our Thanksgiving dinner but I used some beautiful roses instead. I ended up putting the pumpkin by the door. After Thanksgiving was over I began to think about what to do with it. 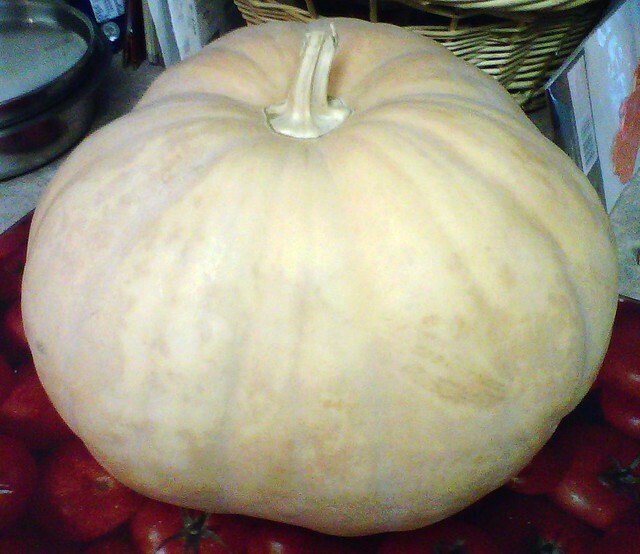 I have no idea what kind of pumpkin it is but I figured it could be eaten since I got it at a grocery store. So I cut it up into chunks and took out the pulp and seeds. The inside was a light orange color and it smelled kind of like watermelon. I roasted the pumpkin in a 350 degree oven for 1 hour. I let it cool off and I put the meat of the pumpkin in the food processor and processed it in to puree. Then I bagged it up in freezer bags so I could put it in the freezer. 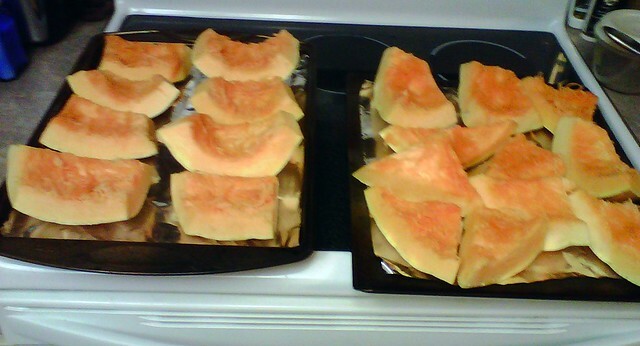 There is 2 cups of puree in each bag which is enough to make 4 pumpkin pies!! Or pumpkin bread. Or pumpkin soup. Or whatever your heart desires to make with it!! 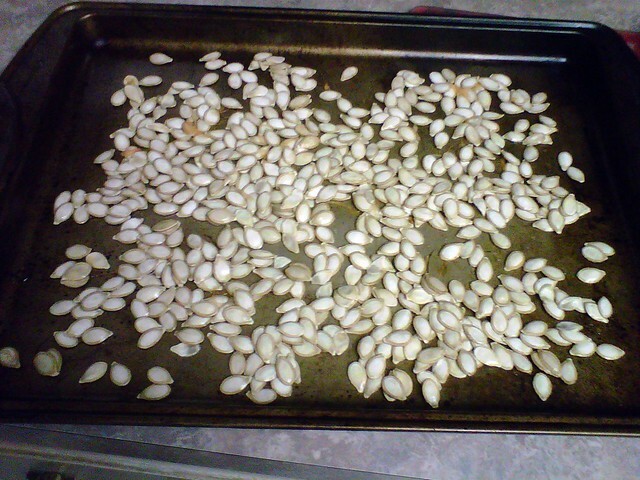 Then I rinse the pumpkin seeds and got all the pulp off and placed them on a cookie sheet to dry overnight. Add about 2 or 3 tablespoons of olive oil and some salt to the seeds. Roast them at 250 degrees for 1 hour and you will have a wonderful snack too!! Posted on December 5, 2011 December 7, 2011 by cookingwithpizazzPosted in VegetableTagged Vegetables.